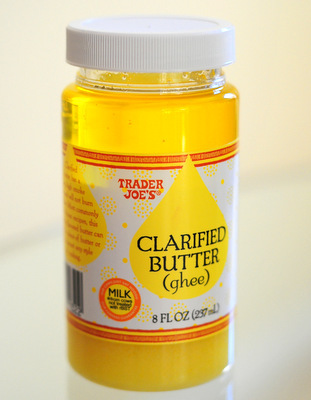 Ghee is a term for clarified butter that is often used in Indian and Southeast Asian cooking. As “clarified butter” rather than “ghee”, it is widely used in French and other European cuisines. Both ghee and clarified butter are prepared by cooking butter to separate its milk solids from its fat. The milk solids are skimmed off to leave a clear yellow liquid – fat – behind. 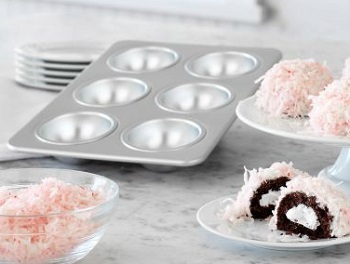 This fat has a much longer shelf life than butter because it requires no refrigeration, and it can withstand very high cooking temperatures so that, unlike butter, it can be used for deep frying. If you continue to cook melted butter without skimming out the milk solids, eventually those milk solids will begin to caramelize and you will have browned butter. Some ghee preparations call for simmering the butter fat with the milk solids until they just begin to caramelize and start to take on a nutty flavor, then the solids are removed before they brown completely. This is the primary reason that there is a distinction drawn between ghee and clarified butter, though more often than not the two products will have the same neutral flavor profile.